Price Reduction on this Unique, one of a kind, custom built, Key West Style Waterfront Home on the Ruskin inlet. 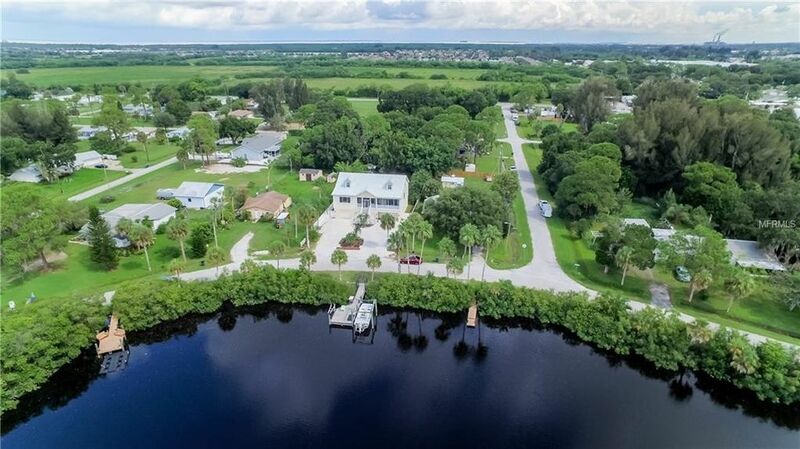 This home sits on a beautiful open cove of the Little Manatee River with Access to Tampa Bay and beyond providing excellent views and balmy breezes. Plenty of parking space for you, your teens and your toys. Too many features to list them all: Volume ceilings, crown molding, recessed lighting, multiple ceiling fans, wood blinds and tiled flooring throughout main living spaces, open kitchen with granite counters, wood cabinets high end appliance package and breakfast bar, custom built in entertainment center and shelving, Master suite w/ sliders opening to screened porch and cove view, crown molding, enormous walk-in closet, AND Luxury Master bath w/ dual sinks, large soaker tub, oversized step-in shower and separate water closet. The list goes on. This home has space for everyone and features abound from the downstairs game room and exercise space to spacious open living and kitchen, to the cozy porch for coffee or cocktails overlooking the cove. This one is a rare find!! Call for a showing today! !